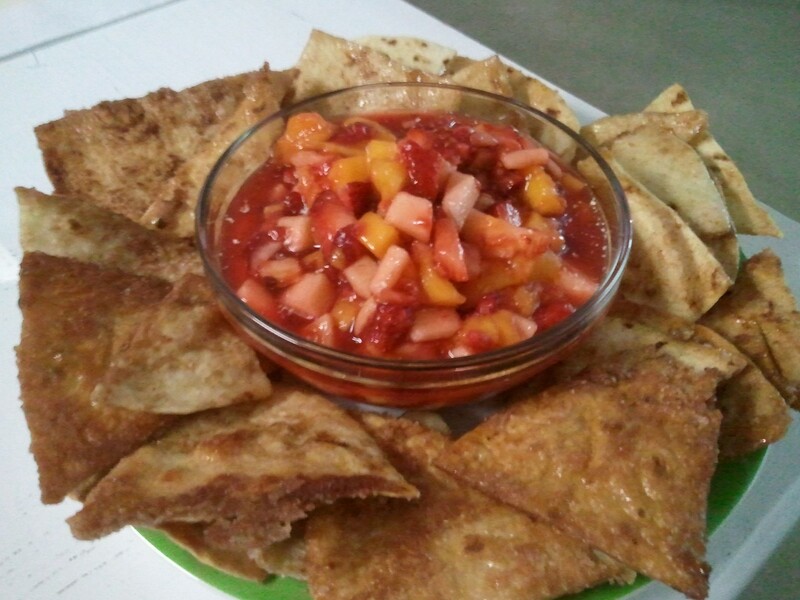 Hello Fruit Salsa and Cinnamon sugar chips for dipping. I found this recipe via Pinterest and had to make it. To quote the hubby “Where did you get this recipe….wait let me guess, Pinterest?” I substituted the kiwi for mango and it turned out really good. The good news was that this fruit salsa also lasted overnight in the fridge so we still have some left over’s for post work snacking. Winning! (Is that even still a cool phrase? Need to put “learn new catch phrase on my 101 in 1001 list).